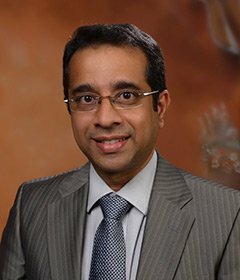 After completing MBBS from CMC, in 1998 moved to the UK and completed double masters MRCPsych in 2003 and Master of medicine in 2005, He also held teaching position at the University of Leeds before moving to the USA for a short period after which he worked as teaching faculty at PSG IMS in Coimbatore. After that, he worked as consultant psychiatrist for 9 years in 1000 bedded multi speciality hospital in coimbatore and also completed MBA in hospital administration in 2012. Moved to Royal care as Medical Director & Consultant psychiatrist in 2016 and has been part of the neuro sciences team and management. Has given over 50 invited lectures at various MNC s, Colleges, Government Institutions and schools , participated in various academic activities and conferences. Holds 15 national and 18 international publications. Special interest in neuro psychiatry and child psychiatry.